Luxury office space in the heart of HCMC's District 3 a place of work where employees can be creative and feel proud. Léman Luxury Office is spoken of as trendy high-end office space combined with five-star facilities for white-collar workers in Ho Chi Minh City. The office building is now attracting a range of businesses, in particular multinational corporations and leading consortiums in Vietnam and from all over the world. Being an office in the green heart of Ho Chi Minh City makes Léman Luxury Office attractive. The green heart of the city is bounded by four streets: Nguyen Du, Truong Dinh, Nguyen Dinh Chieu, and Pasteur, stretching hundreds of meters along both Truong Dinh and Nguyen Dinh Chieu. Its great location will help facilitate company performance and make access easier for customers. At 117 Nguyen Dinh Chieu Street - 22 Bis Truong Dinh Street in District 3, Léman Luxury Office is surrounded by the tree-lined streets of Nguyen Dinh Chieu, Vo Van Tan, Truong Dinh, Nguyen Du and Pasteur, in the peaceful heart of District 3. It takes just a few minutes to step into a world of excitement around Notre Dame Cathedral, Reunification Palace, and Tao Dan Park with its shady trees. Nowhere else can office workers enjoy the five-star facilities and services found at Léman Luxury Office. After hours of hard work, they can indulge themselves in the cool water of the infinity pool on the terrace of the building or exercise in the gym or relax in the spa. The building also offers a wide range of restaurants. The popular Chinese restaurant San Fu Lou, the famous Singaporean restaurant Bak Kut Teh, and the well-known European restaurant Steak Boulevard are all suitable for business meetings or luxury banquets. The BBQ court on the seventh floor, meanwhile, is ideal for parties for young people. Workers can also visit the Bon Grocer high-end supermarket on B1 floor to buy fresh fruit and vegetables or daily necessities or drop by to taste fresh oysters with wine and smoke cigars in Bon Grocer’s Wine Cellar 1955. 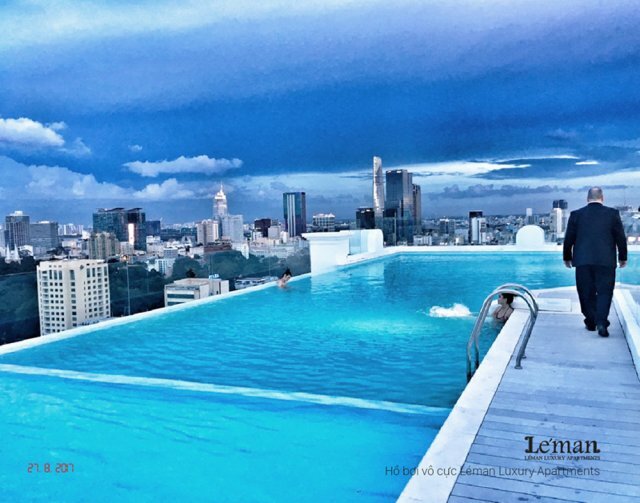 After a hard day at work,officers can indulge themselves in the cool water of the infinity pool on the terrace. While facilities for work, entertainment and shopping are greatly appreciated by those working at Léman Luxury Office, its large parking lot, costing over VND600 billion, is also one of its highlights. Different from other buildings, Léman has four levels of office space and three spacious and ventilated parking basements, decorated with colorful murals and an artistic lighting system. 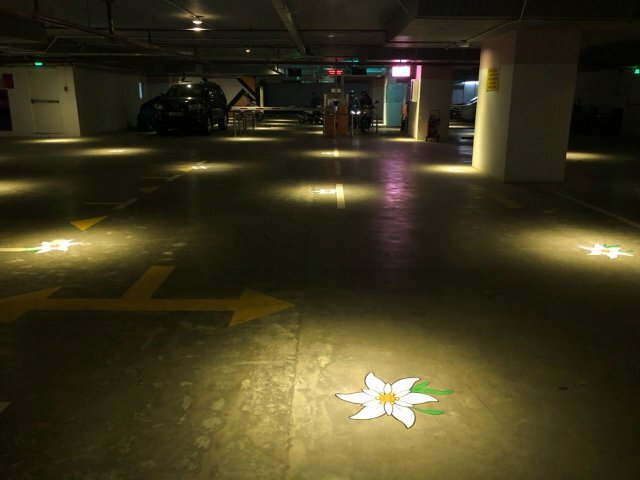 Léman’s parking basements were used as a catwalk for Miss Pham Huong to introduce her first fashion collection in May this year. The investment in the parking basements expresses the goodwill of the investor and meets demand for those who travel to work by car, such as young entrepreneurs who stopped driving to the office because of the lack of parking lots. Léman has four levels for office space and three spacious and well-ventilated parking basements. Reality shows that many firms with good office space but far from the downtown area encounter difficulties in their recruitment activities, because high-quality employees consider the time and distance they must travel when deciding on a job offer. Offices located in the city center, with easy access to surrounding districts, therefore offer major advantages in talent recruitment. Senior experts and foreign investors can choose to live in high-end serviced apartments above Léman offices, which is both convenient for their business and for international transport links. It is not by chance that representative offices of foreign companies and multinationals or local consortiums are often situated in new and modern high-rise buildings in the CBD, as a modern, comfortable and luxurious working space motivates all employees. Employees feel proud when working at famous buildings with luxurious office space. Léman Luxury Office is the “star” of District 3, boasting high-quality facilities that are the dream of all employees. 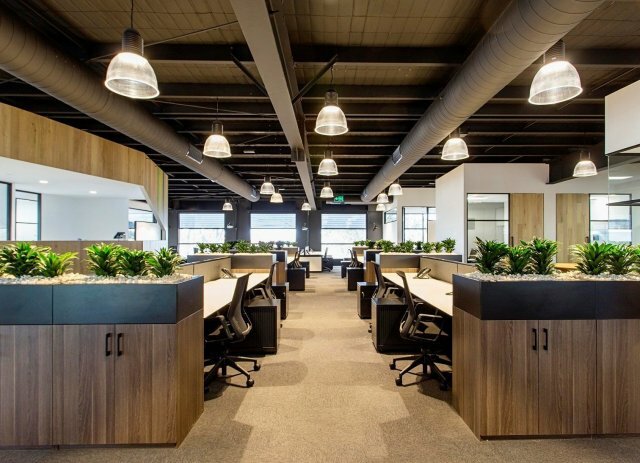 Green and luxurious office space is a source of pride for office workers (photo illustration). Last but not least, the 24/7 security service, sanitation service, and landscaping service is sure to turn the offices in the building into a “green oasis”; a working environment that engenders creativity and pride.